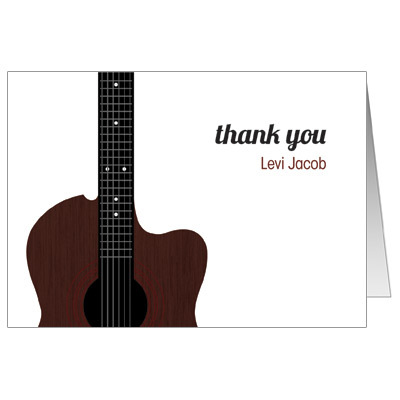 Say thank you with this simple but unique note card featuring a brown acoustic guitar on a white background. Personalize it with your child's name. Folded card measures 5 x 3.5.